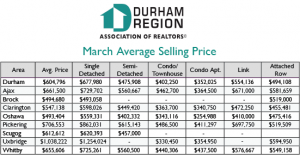 DURHAM REGION, April 8, 19 – Durham Region Association of REALTORS® (DRAR) President Tina Sorichetti reported 839 residential transactions in March 2019, a 43 per cent increase from the previous month. 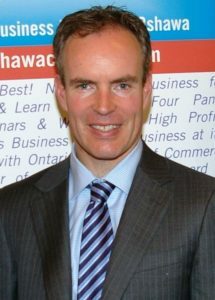 There were 1,617 new listings in March 2019, compared to 1,140 in the previous month representing a 42 per cent increase. March 2018 saw 1,755 new listings. “Millenials are passionate about homeownership, it is a positive step forward to have the federal government acknowledge the challenges first-time home buyers face and making housing issues top priority in the 2019 Budge for Canadians,” said Sorichetti.